The stars and other industry players from across the region were in town for the Second Asean International Film Fes­tival and Awards (Aiffa) held in Kuching and the Sarawak Cultural Village once every two years. Luminaries who showed up included our very own Tan Sri Michelle Yeoh who won the inaugural “Lifetime Achieve­ment Award” two years ago and this year was on hand to present the same award to this year’s recipient, the Philippines’ Nora Aunor who must be somewhat consoled after missing out on her own country’s prestigious “National Artist” award last year when her nomination was controversially vetoed by the Philippine president. 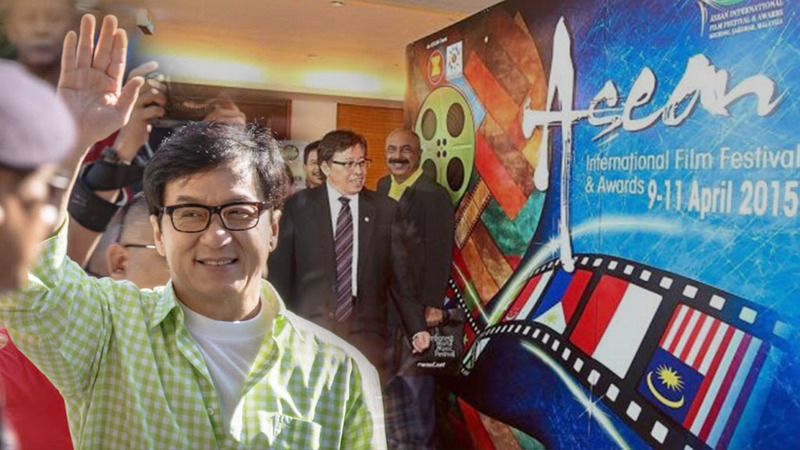 Another prominent star who made it to Kuching was Datuk Jackie Chan. He was a special guest since he does not originate from any of the Asean countries. Like many first-time visitors to Kuch­ing, Chan appeared, from publicised comments, to be appropriately smitten by the city to promise he would do an out-of-character romantic movie on location, with sometime movie partner Yeoh as a possible love interest. If this is not to be just idle talk, perhaps the Sarawak government should be thinking of doing something to create an eco-system that can enable and encourage a home-grown film-making industry as a direct spin-off of Aiffa. The state has a fantastic nat­ural backdrop for film-making, a romantic history that should be great fodder for creative script writers to get their juices flowing and a naturally creative population for whom creative arts such as film-making should be quite a logical fit. If nothing else, all the pub­licity generated as a result of Aiffa is to be welcomed and an invaluable boon for Kuching and Sarawak. The question, as always, is whether the organisers and the state government showed enough imag­ination, skill and efforts to exploit to the fullest, the magic potentially conferred by movie luminaries on the places they happen to pass by. The event was of course great as well for helping to foster the spirit of an Asean community that is slated to be officially kicked off by year-end. That film stars, producers and just plain film enthusiasts from across the region can now get together every two years to rub shoulders, talk shop and compare notes while showing off the latest or best films they have produced is something surely the very idea of an Asean sense of com­munity is about. The most obvious and widespread complaint about the event was the evident lack of widespread publicity in the lead-up to the show either locally or nationally, to say nothing of making efforts to have it hyped-up and talked-about regionally and even internationally. Inviting and having well-known movie names turn up may have been regarded as singular achievements in and of themselves but widespread publicity is the currency and oxygen upon which such an industry lives off and thrives. A far more concerted and well-thought-through media and publicity strategy with a regional if not international reach and impact must be conceived and executed if the Aiffa momentum is to be sustained and Sarawak to benefit fully from the event’s after-glow. Thankfully, Sarawak has had some experience and exposure putting on high-profile and highly successful events to draw upon to make Aiffa equally successful in years to come. The much-acclaimed and always anticipated Rainforest World Music Festival held annually for almost two decades now is a prime example that Aiffa organisers may draw upon to make their event another well-known international “brand” that Sarawak can grow to be just as proud of. Given that the resort enclave of Damai where the Sarawak Cultural Village is located has become the regular venue of several prominent events, the state government will do well to commission a review to see how the area can be developed further without sacrificing too much of its natural charms. Perhaps a masterplan can be devel­oped to incorporate the nearby Malay settlements of Santubong and Buntal into an expanded resort area with a small but tastefully designed commercial core built that can serve as the heart of an evolving and self-contained resort community. Above all, the increasingly tired-looking and poorly-managed resorts and hotels in Damai need an extensive revamp. That most of the properties owned by the Sarawak Economic Development Corporation have been “integrated” under a single management stifles competition as well as creative service improvements and innovations. They have seemed to be living off the reputations of such events as the music festival without adding anything to further themselves and Damai as a leisure destination in its own right. Privatising these resorts could possibly be the best way to drive a commercial dynamism and vitality now completely lacking. New investors must commit to pour serious money into upgrading the hotels and add new facilities and to aggressively promote them to interna­tional tourists, building on the cachet Damai has going for it now with the events it regularly hosts. Cannes on the French Riviera started out as a well-known resort destination before it became synonymous with the film festival that bears its name. Is it a touch too fanciful to believe Damai may one day come to make a name for itself as the region’s answer to Cannes? That of course calls for hard work to be put in by all the stakeholders, be they from the public or private sector. Talk of a consortium of Chinese film-production studios exploring the possibility of put­ting up a movie hub and theme park in Kuching will have to be actively encour­aged as its realisation will be a giant step towards putting Sarawak firmly on the map of the film-making world.